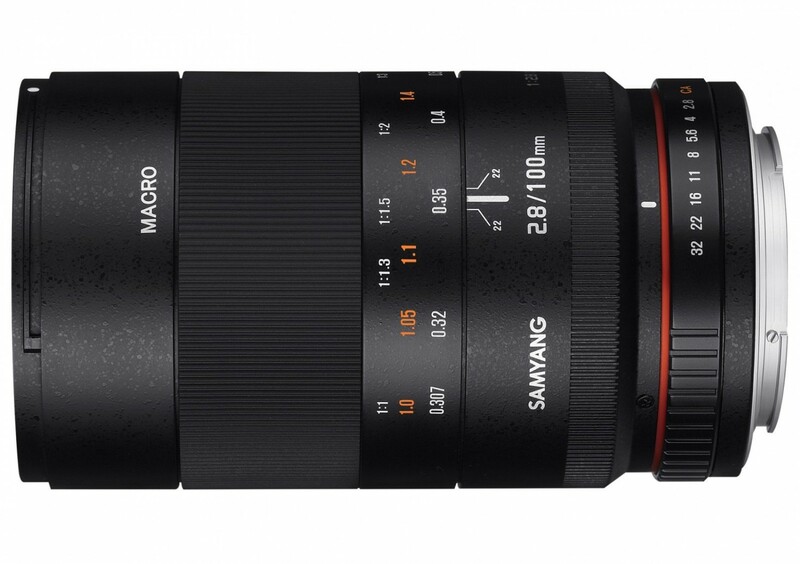 The Samyang 100mm F2.8 ED UMC MACRO photo lens realizes 1:1 life-sized image with superior image quality. 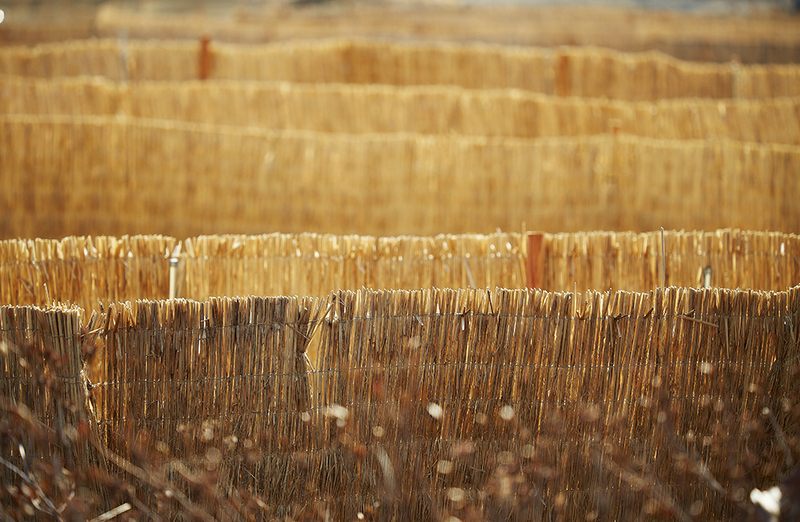 It enables to capture the essence of nature with the minimum focusing distance of 0.3m (1 feet). It is a versatile lens which can be used both as macro lens for close-ups and telephoto lens for portraits and landscapes. The bright F2.8 aperture offers the best level quality images under various exposure conditions. 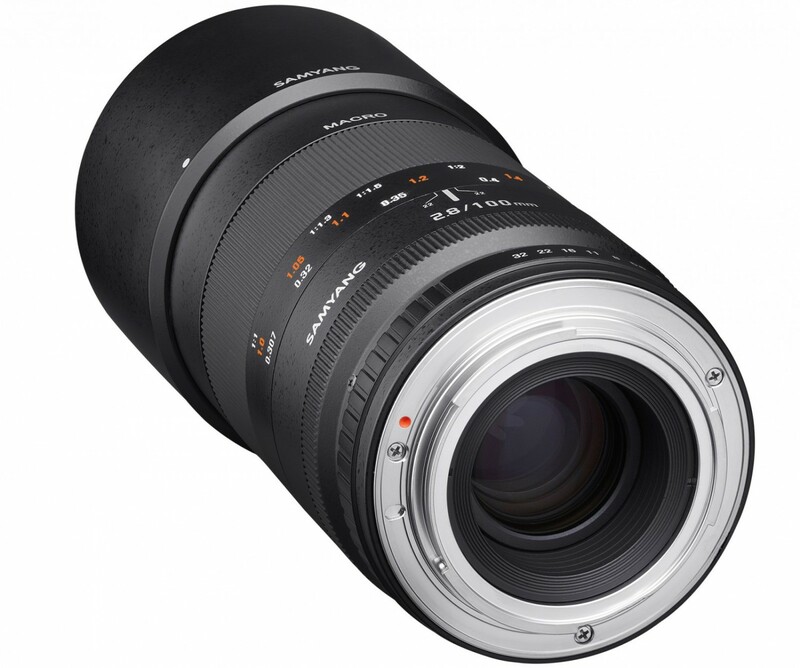 The Samyang 100mm T3.1 VDSLR ED UMC MACRO cine lens is the ideal lens for close-up videos with greater quality. 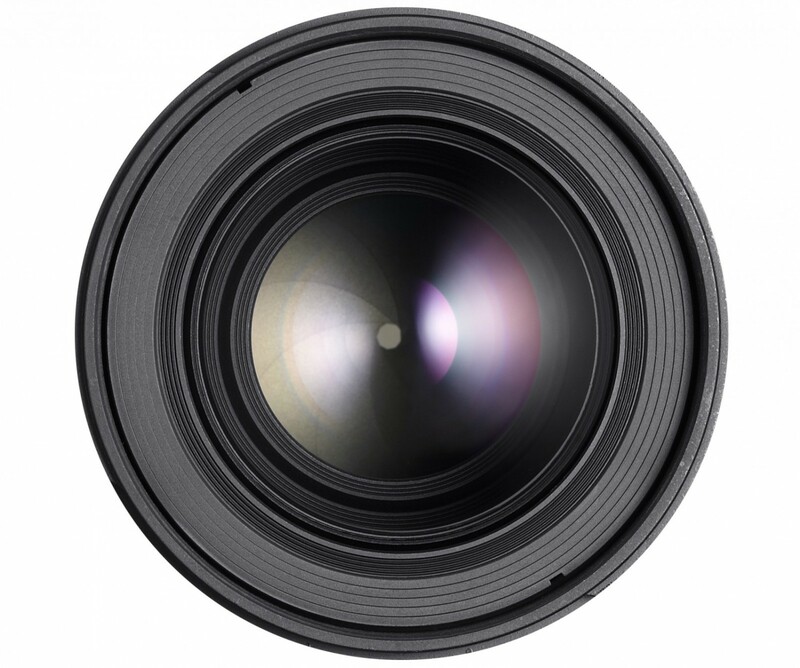 This lens is optimally designed for professional follow focus system thanks to the quiet and smooth uncoupled focus and aperture gear rings. Also, the distance scale and T numbers are marked on both sides of the lens for convenience when filming. Also, the Samyang 100mm T3.1 lens is one of Samyang Optics VDSLR II Cine Lens Line Up which produces the matched image color and has identical location of aperture and focus gear rings. 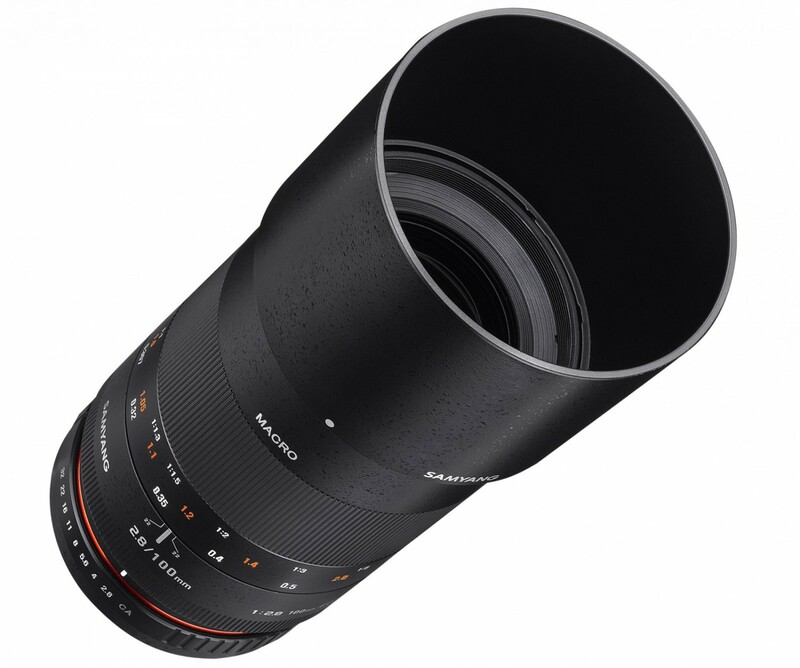 Based on exceptional optical technology of Samyang Optics, the Samyang 100mm series features 15 glasses in 12 groups, including high refractive lens (HR) and extra low dispersion lens (ED) to minimize the unnecessary light dispersion and deliver high resolution throughout center to corner of image. Ultra Multi Coating (UMC) of Samyang Optics is used to optimize the light penetration and minimize flare and ghost. The Samyang 100mm series comes in 10 camera mounts: Canon EOS, Nikon, Pentax, Sony ∝, Sony E, Fujifilm X, Canon M, Samsung NX, Four-Thirds, and MFT.